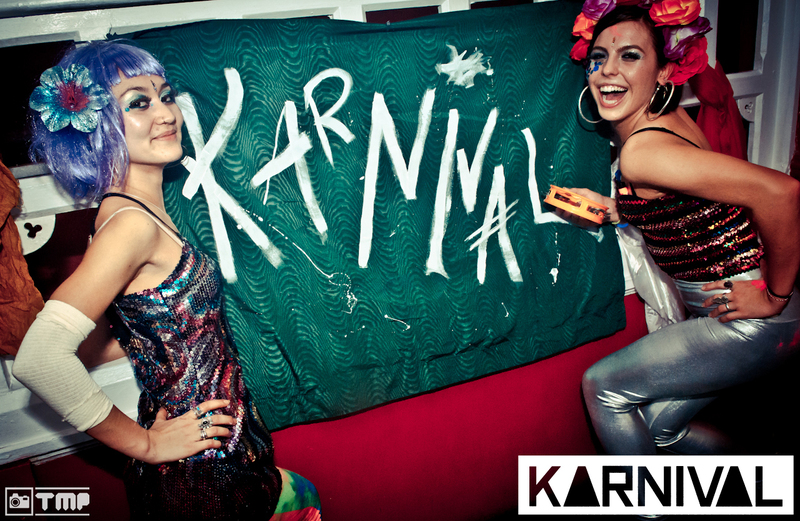 Karnival has Manchester’s best DJ at Manchester’s best venue! Fact! On Friday 3 May, Karnival brings together two Manchester award-winners; the recently crowned Citylife DJ of the Year 2012, Will Tramp! will be headlining Karnival at the Citylife Venue of the Year 2012, The Deaf Institute. Now with a serious foot-hold in Manchester’s nightlife, Karnival is fast becoming known as the place to go for quality music with the extra excitement that Karnival brings. Karnival fuses incredible music with inspired performance to create a night that was described by one Karnival reveller as a nod to the legendary Carry On parties at Manumission Ibiza. Having co-created the infamous Tramp! club night in 2004, Karnival’s next guest Will Tramp! brought the likes of Justice, Diplo, Chromeo, The Juan Maclean, Modeselektor and Franz Ferdinand to Manchester on a weekly basis before developing a career as a forward thinking DJ in his own right. Will has longstanding residencies at The Warehouse Project, Parklife Festival, Homoelectric and Bugged Out! He regularly travels around the UK and beyond spinning Techno, House, Disco and Boogie. You can catch him at Snowbombing Festival and Electric Elephant in Croatia over the summer months. Will was recognised as 'DJ of the Year 2012' recently by the Manchester Evening News. Similarly, The Deaf Institute has been the go-to place for all the coolest bands, club nights and DJs over the last few years. So of course, it was awarded Manchester Venue of the Year 2012! Karnival’s resident DJ and beatsmith; Tacet will be at the helm once again to bring the real spirit of the Karnival. Another welcome addition to the line-up is Adam Martin; founder and resident DJ of Manchester underground club night EXHiBiT. Plus, the Karnival performers will be getting fully immersed into the crowd to incite games, hand out gifts and make everyone’s experience an unforgettable one. We have really hit our groove now and we have certainly secured a brilliant DJ for this month too and people will not be disappointed! Karnival returns with Will Tramp!, Tacet and Adam Martin on Friday 3 May, 10pm till 3am, at The Deaf Institute and runs every first Friday of the month.